AngieB from Ballard Boys, posted this Sugar Scrub recipe. 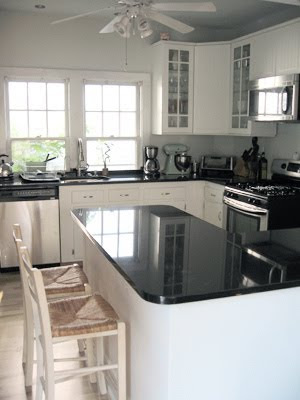 Kasey from Thrifty Little Blog, told us how she saved $230 on her new counter tops by speaking up. She also shared some great tips. Jane from Finding Fabulous shows us a great way to re-use an old bottle. 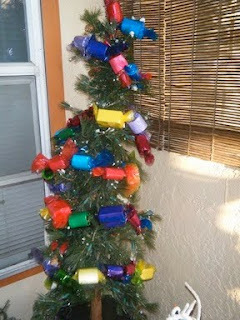 It's So Very Cheri shows us how to make this garland. 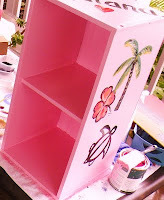 Mom's Best Bets made this custom shelf for her daughter's playroom. AngieB from Ballard Boys teaches us that sometimes it is cheaper to just buy a new one. I think that it takes experience to learn this lesson which is unfortunate for AngieB and the rest of us who have had to learn the hard way. 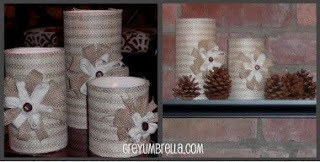 Christi from Grey Umbrella has some really great ideas for burlap. 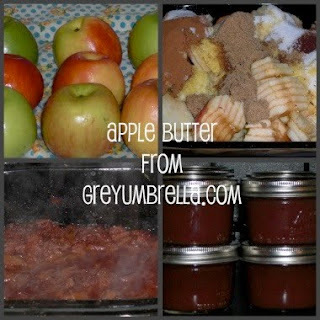 She also posted her recipe for apple butter. I just made some apple butter for the first time last month and it was so easy and delicious. Thanks for posting your recipe Christi. This cute purse used to be a skirt and was posted by Chas from A Woman's Haven. 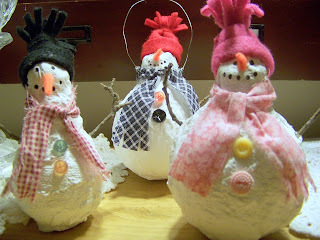 She also posted a tutorial on how to make these adorable snowmen. Now if only I had that staircase to go with them. 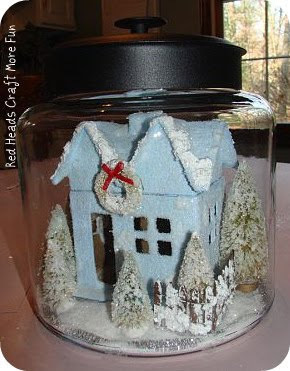 RedHeads Craft More Fun posted a tutorial on how to make this cute house in a jar. Trash to Treasure Decorating posted a tutorial on how to make Light Bulb Snowmen. thanks for featuring me! =) the snowmen are on my list of things to make ... hopefully i can get to it! i also LOVE the recipe for sugar scrub. off to make a fun messes! SOOOoooo many cute things! It is true, at some point you need to know when to throw things away - especially socks!